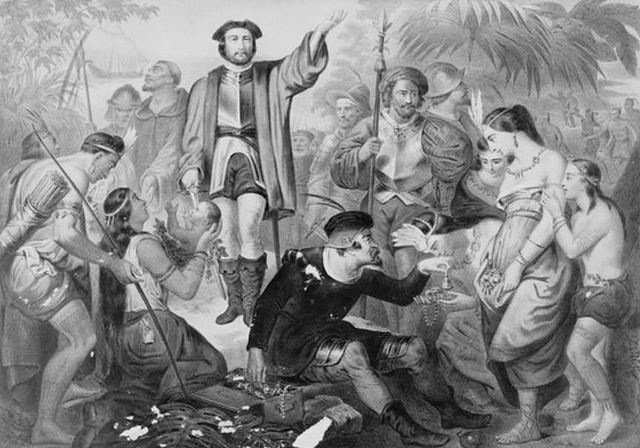 In 1492, Christopher Columbus made his first voyage to the Americas, first reaching land at the Bahamas after which he sailed south to Cuba, arriving on October 28 at Bariay on the eastern tip of the island. The inhabitants of the island at the time included the Guanahatabey, Ciboney and Taíno, who were Arawak tribes that had migrated from South America. Although they greeted the Spanish peaceably, it was not long before they were wiped out by diseases, to which they had no natural resistance, the shock of subjugation or outright massacre. Although there are Cubans today who claim Taíno ancestry, the culture dissolved completely within 100 years after the Spanish arrived. 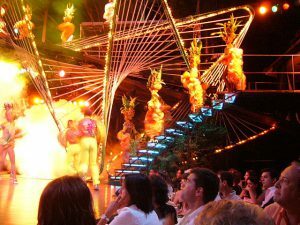 The legacy of the original Cubans includes the farming and use of tobacco, the name Cuba itself, as well as Havana and indigenous words such as hurricane, tobacco, and canoe, which are used in the English language today. Named Isla Juana by Columbus, the island was not circumnavigated until 1508. In 1511, seven towns were established by conquistador Diego Velazquez de Cuéllar, Santiago being the most important initially. 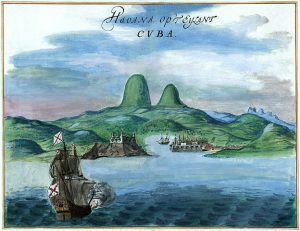 With the discovery of gold in Mexico, Bolivia and Peru, Cuba became a useful base for the Spanish, and Havana, or San Cristóbal de la Habana, founded in 1515, took on greater significance. It took more than 100 years before any other Europeans besides the Spanish attempted to colonize the islands of the Caribbean. Pirates, privateers and smugglers from France, Holland and England, however, began making regular visits starting around 1530. 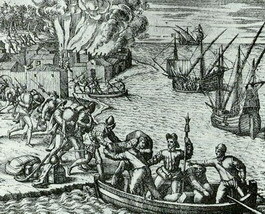 In 1555, French pirates, known as corsairs, led by Captain François “Peg Leg” Le Clerc and his lieutenant Jacques de Sores, known as the “exterminating angel”, attacked Havana, taking the wealthy prisoner and burning the city. Colonization and development progressed slowly during the next 200 years. African slaves supplanted the disappearing Taíno on sugar and tobacco plantations, but were limited by Spanish trade restrictions. The year 1762 saw a major siege by the British, who attacked with five warships and 4,000 troops, taking control of the island from the Spanish. During this time, a major influx of African slaves and open trade with North American and Caribbean colonies caused the sugar industry to boom. This was also, in part, due to the revolution in Haiti, which, until then had been the sugar producing capital of the region. British rule lasted less than a year. With the Peace of Paris Treaty, Cuba was traded back to the Spanish in exchange for Florida. By the end of the 18th century, there were only three Spanish colonies in the West Indies – Santo Domingo, Puerto Rico, and Cuba. Immigrants arriving from Europe and the fact that Cuba had been primarily an urban society for so long, resulted in a society that was larger and richer, cultured and well educated. 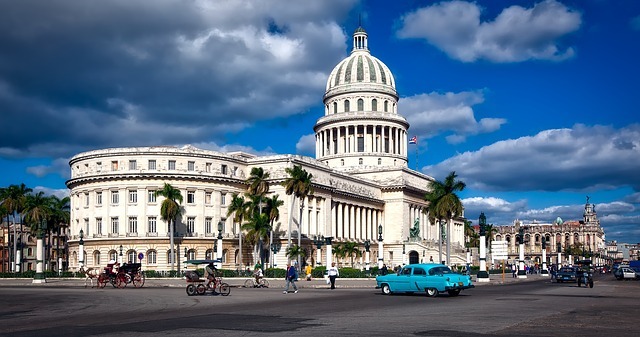 Havana came to be acknowledged as the most beautiful city in the Western world. Before long, the desire to be freed of Spanish control and become independent took root. Numerous slave revolts occurred as well. 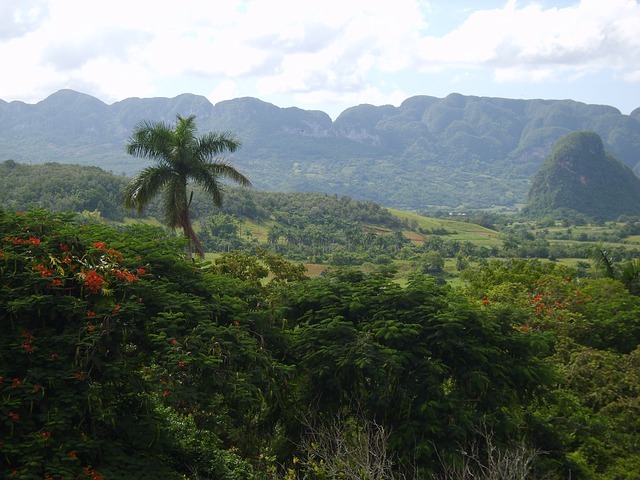 Cuba was the last of the larger islands to ban slavery. Although it was officially banned in 1817, the slave trade was not effectively stopped until 1865 and the existing slave population was not freed until 1886. Beginning in 1848 with President Polk, five US presidents offered to buy Cuba from the Spanish, but were turned down. In 1868, Carlos Manuel de Céspedes, a plantation owner and leader in the quest for independence, gained significant support, in part by freeing his slaves if they would fight for him and his cause and issued a decree calling for independence. Two thousand imported Chinese workers joined his rebellion and a prolonged conflict known as the ‘Ten Years War’ ensued. Céspedes died in battle along with 200,000 combatants. He is to this day honored as the ‘Father of the Homeland’. At the end, Spain promised greater autonomy to Cuba, a promise which was not kept. In 1895, José Martí, an exiled Cuban dissident living in New York, founded the Cuban Revolutionary Party. A revolt against the Spanish army started even before Martí could get to Cuba. Crops and buildings were burnt and once again, loss of life occurred on a large scale. 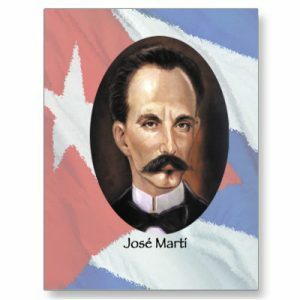 Martí fell in the battle of Dos Rios and is also a Cuban national hero. The ravages of this escalating war were severe. Cuban civilians were herded into camps and starvation and disease claimed as many as 400,000 lives. The US, which up until this point had little involvement, sent the battleship Maine to protect its interests. Under mysterious circumstances, the ship blew up in Havana Harbor, sinking with the majority of its crew. The USA responded quickly, engaging in war with Spain. The war was also won quickly and the USA took control of Cuba from the Spanish. Although it did not annex Cuba as it did with Puerto Rico, the US retained the right to intervene in Cuban affairs after its independence in 1902, also claiming an indefinite lease of 45 square miles at Guantánamo Bay for the establishment of a naval base. In the early part of the 20th century, a series of failed or corrupt governments leading to US interventions played out. In 1924, under President Gerardo Machado, American owned hotels and restaurants were built and a tourist boom began. Gambling, prostitution, mafia involvement and corruption led to uprisings, protests and the eventual exile of Machado. He was briefly succeeded by Carlos Manuel de Céspedes y Quesada, who then after only a month was ousted by Fulgencio Batista. Batista did not become elected president until 1940, but maintained control over a string of presidents as self appointed chief of the Cuban military forces in the years leading up to his election. After four years as president, he left to live in Florida, but returned to run for president again in 1952. 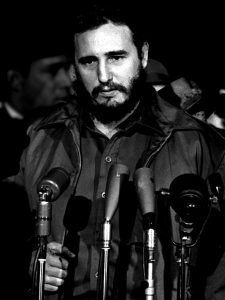 Faced with a certain defeat, he took office by force and remained in power until forced out by the ‘July 26 Movement’ of Fidel Castro. The discontent was due to many factors including Batista’s revoking many liberties, such as the right to strike, aligning his personal interests with the American mafia and US based companies in lucrative financial deals, censorship of the media and human rights violations. Batista’s forces were thought by many to be responsible for thousands of deaths. The 1950s saw uprisings by various organizations seeking to bring about political change. Among these groups was ‘The Movement’, a group of around 150 factory and farm workers led by brothers Fidel and Raoul Castro. 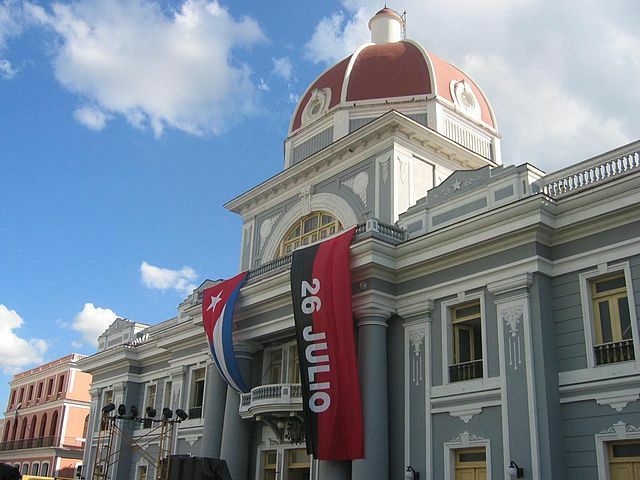 On the 26th of July, 1953, the group staged their first attack at military barracks in Santiago and Bayamo. Nine were killed in the fighting and 56 were executed by Batista’s forces. Fidel Castro was sentenced to 15 years in prison and Raoul for 13. Intense political pressure forced Batista to release all political prisoners two years later in 1955, including the Castro brothers. 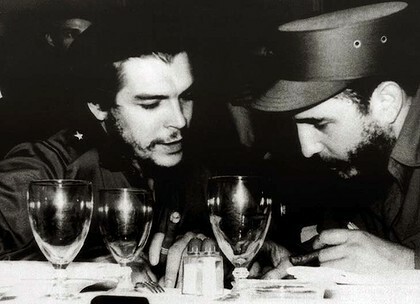 Later that year, Fidel and Raoul Castro were joined by Argentine revolutionary Ernesto “Che” Guevara in Mexico, where they planned a second attack. Their movement was now called the “26th of July Movement” in honor of the first battle. 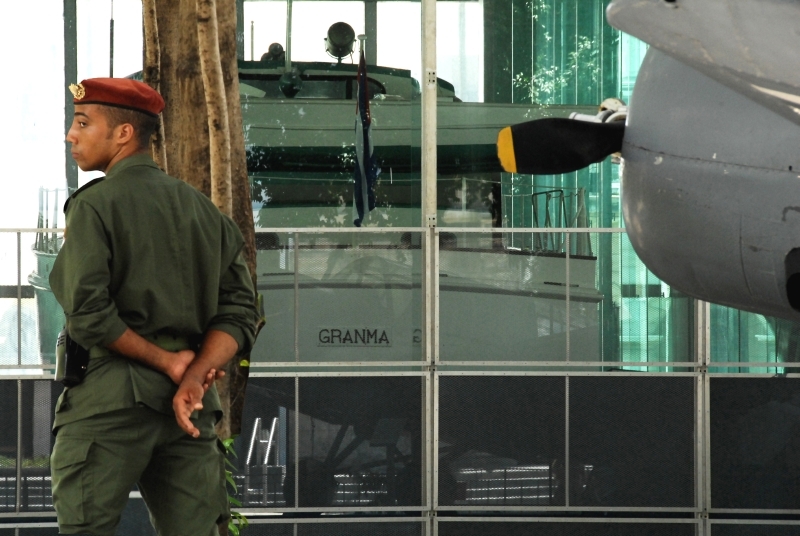 In 1956, the Castros, Guevara and 80 men set sail on the yacht Granma, which was only built to accommodate 12 people, for Cuba. Arriving too late to participate in the planned coordinated attack, due to the slow journey, the boat’s occupants instead fled towards the mountains. Most were attacked and killed, but around 20 men survived, including the Castros and Guevara. For some time, these men were to remain in hiding in Cuba’s mountainous interior. They were eventually joined and aided by other groups seeking to overthrow Batista. In 1958, Fidel Castro succeeded in broadcasting anti Batista propaganda to listeners via Rebel Radio, a pirate radio station. Meanwhile, Batista proceeded to nationalize US properties and oil refineries and continued with his brutal tactics. An economic embargo imposed by the US helped to lessen Cuban support for Batista and an arms embargo made it impossible for the Cuban air force to maintain its planes. Although Castro’s numbers were small in comparison to Batista’s army, decisive victories were won in 1958 in the Battles of La Plata and Santa Clara. On Januaray 1, 1959, Batista fled by airplane to the Dominican Republic and continued on to live in exile in Madeira and Portugal. Fidel Castro took over political and military control of Cuba as Prime Minister following Batista’s exit. The next steps he took included aligning Cuba with the USA’s cold foe, the Soviet Union and establishing a one party socialist state under Communist Party rule. In 1960, President Eisenhower approved of a plan for the CIA to organize and train a group of exiled Cubans in preparation for an attempt at overthrowing the Castro regime. In April, 1961, President Kennedy approved the final plan and the Bay of Pigs Invasion was launched on April 17. Intended to be kept secret, the incident and the USA’s involvement was quickly apparent and President Kennedy held back air and naval support, resulting in the operation’s failure. The majority of the 1400 men were killed or captured and imprisoned. This only served to strengthen Castro’s power. In 1962, a defining point in the cold war occurred with the Cuban Missile Crisis. In response to the Bay of Pigs Invasion and the placement of USA ballistic missiles in Italy and Turkey, Soviet leader Nikita Kruschev and Castro reached an agreement to place medium and intermediate range ballistic missiles on Cuba. After US Air Force spy planes produced clear images of the missiles, the US set up a military blockade and demanded that the weapons be dismantled and removed from the island. 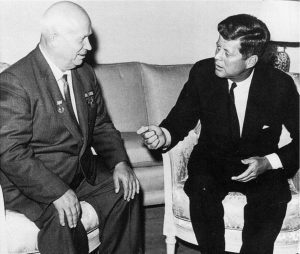 After tense negotiation between Kennedy and Kruschev, an agreement was reached whereby the missiles would be removed with an agreement that the USA would never again invade without provocation. The USA was also forced to remove the weapons that had been placed in Italy and Turkey. The blockade was lifted on November 21, 1962. Cut off by the USA, Cuba experienced many years of stagnation. The quality of life and living conditions of the Cuban people suffered greatly and took a turn for the worse with the collapse of the Soviet Union, which had largely propped up the Cuban government. 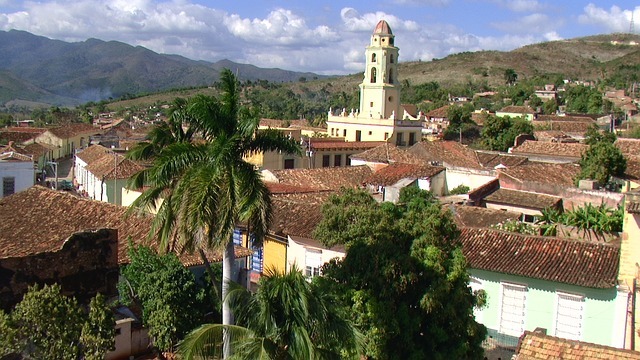 Cuba’s isolation from its neighbors, on the other hand, has served to boost its mystique and arouse curiosity. The music, culture, food and treasures of this land, seemingly frozen in time, are in many ways then, all the more unique. With the death of Fidel Castro on November 25, 2016, and new, but evolving policies under the most recent US presidential administrations, it will be interesting to see what changes come to this beautiful island and its strong, vibrant people. We will just have to wait and see.